Housed in an elegant, retro-chic bottle consisting of a silvery core surrounded by a clear, quilt-patterned outside, Miu Miu Fleur d'Argent (which translates in English to "Silver Flower") is described as an "elegant jacket over a shining dress". With only notes of tuberose, musk, and Akigalawood, the scent offers a clean and unique white floral accord. A native Mexican plant reportedly adored by Marie Antoinette, tuberose is not a note I'm too familiar with. However, there's no doubt that it takes center stage here, providing a unique and clean floral fragrance that's sweet but not sickly. The wear time is surprisingly decent; the scent remains strong for at least five to six hours, which for a floral, is pretty impressive. The scent is quite different from most spring florals I've tried so it may not be everybody's cup of tea. However, if you are a fan of cool florals or are looking for a fresh spring fragrance, Fleur d'Argent is definitely worth checking out! The fifth addition to the ever-growing Live Irrésistible family from Givenchy, Live Irrésistible Rosy Crush is a fresh rose perfume accented with notes of peony, goji berry, and pink peppercorn. 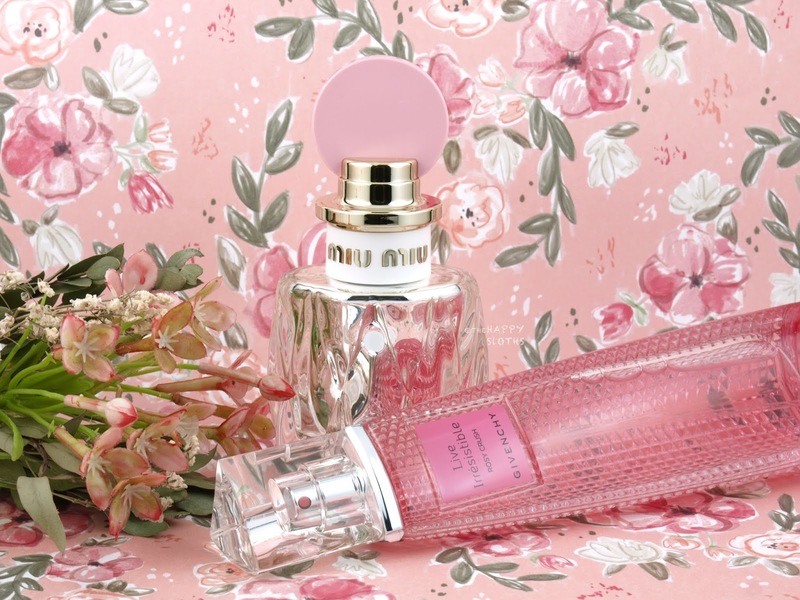 Housed in the tall, iconic three-sided bottle studded along the sides, the fragrance is tinted a bright shade of pink. As compared to Miu Miu's Fleur d'Argent, Live Irrésistible Rosy Crush is a much more classic and traditional floral fragrance. 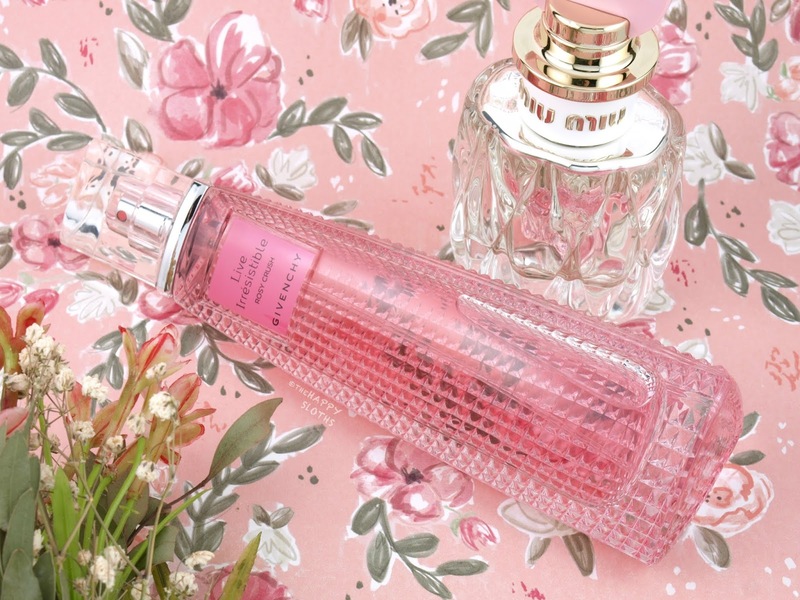 The rose is strong but not old-fashioned, thanks to the splashes of peony and pink peppercorn. The wear time is a bit lackluster, unfortunately, but it's not a dealbreaker as this is a softer spring floral. Rosy Crush does contain base notes of musk, patchouli, and ambroxan but none of them are very distinct. So overall, if you are fond of classic florals with a strong presence of rose, this is your scent! What will you be wearing this Valentine's Day? What's your go-to spring scent? Share with me in the comments below! 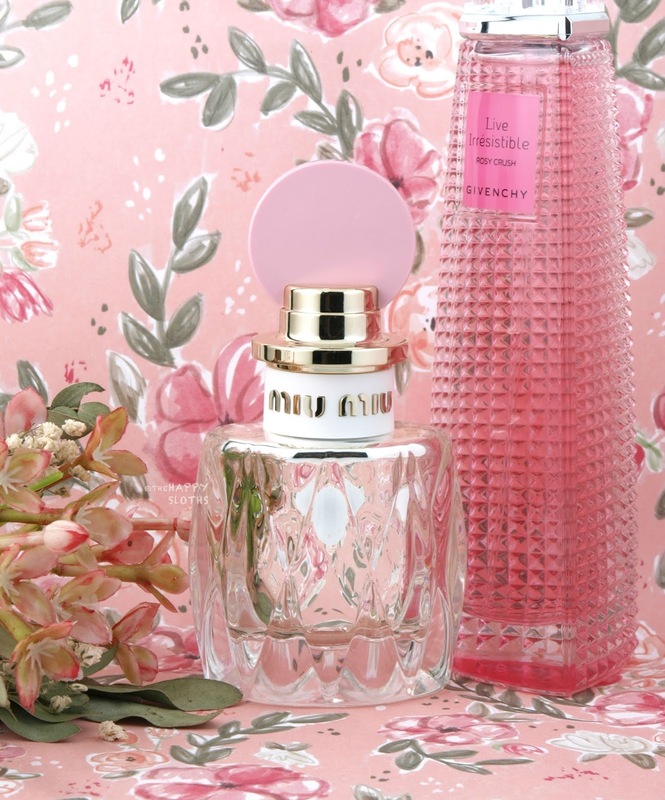 Miu Miu Fragrances is available in stores and online at Sephora. Givenchy Fragrances is available in stores and online at Hudson's Bay, Shoppers Drug Mart, and Sephora.